Synopsis: A young agoraphobic woman turns the tables on the men who break into her home. Home invasion movies are all the rage these days, so filmmakers venturing into such an over-populated sub-genre must have something pretty special up their sleeve if they hope to stand out from the crowd. For a while, it looks as if writers T. J. Cimfel & David White, and director Adam Schindler have managed to do just that with Intruders, but an implausible resolution to all the intrigue and suspense they generate in the first two acts ultimately means that Intruders finds itself jockeying for position with others of its type instead of rising above them. 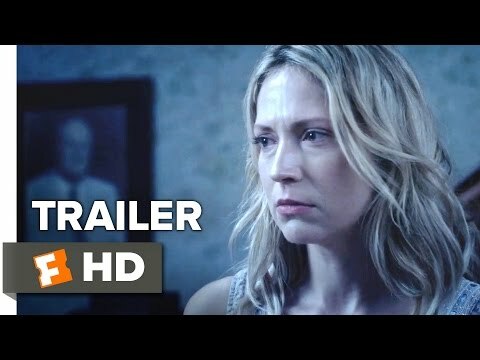 Anna (Beth Riesgraf) is an agoraphobic who hasn’t ventured out of the rambling old house she shares with her brother, Conrad (Timothy T. McKinney), in ten years. So when Conrad finally succumbs to pancreatic cancer, she finds herself facing an uncertain future. In fact, her condition is so severe that she can’t even force herself out of the house to attend Conrad’s funeral, which means she’s unexpectedly still at home when three thieves stop by to search for the wads of money they’ve learned she has stashed in the house. But the men are in for a surprise if they assume that Anna will simply give them her money once they catch her. She knows that to do so will mean her death because she’s seen their faces and heard their names. But Anna has one thing on her side – a dark secret from her past which has left her uniquely equipped to turn the tables on her captors and dispense a little rough justice. Perhaps the most interesting thing about Intruders is the way in which it’s Perry (Martin Starr – Adventureland, This is the End), the borderline psychopath amongst the trio of burglars, who is most clued in to how things are going to pan out once Anna has him and his buddies locked in her basement. It’s a kind of accord which hints at the possibility that these two aren’t so unlike, and sets up some potentially interesting directions in which the story could go, but which are never fully realised. The plot divorces itself from reality at around the same time that the men find themselves trapped in a basement with secret passages, hidden rooms and a staircase that slides into a wall, all of which belong in a 1930s horror-comedy like The Old Dark House or The Cat and the Canary than a modern horror.